Every so often, television network executives get so high on success they begin to believe they are creative geniuses. Suddenly, they know more about creating TV shows than the talented people that actually create the programs. Such is the case with 1978-1979’s breakout smash, Mork & Mindy. The show was a classic “fish out of water” tale with one very special difference. That, of course, was the genius of Robin Williams. His manic, zany physical humor took the show to astronomical heights. The show, that first season, became instantly ingrained into popular culture. Robin, and co-star Pam Dawber as Mindy, landed magazine cover after cover, headline after headline, and was one of the most exciting debuts in decades! Robin Williams genius and acting chops were so remarkable, and so natural, people began to assume he simply was ad-libbing his way through each episode. However, this was not the case, as reported by Charlie Jane Anders for a wonderful expose´about the show, with interviews from Mork & Mindy‘s writers. While Williams offered up improv, action, and jokes in rehearsal, come time to film, he was letter perfect with the script. He was the hyperkinetic male Lucille Ball. Mork & Mindy bounced around the top three of the national Nielsen ratings that first season, often landing well ahead of the pack. The show averaged a high enough rating that first season as the #3 program in all of TV, even though by season’s end, it was most often at #1. 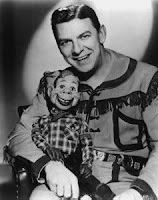 The show was poised to be one of the great all-time hits, and Williams to become one of the top TV clowns ever, ranking with Lucy, Gleason, Berle, Skelton and Carol Burnett. Then, the ABC networks intervened! After decades of being the distant 3rd rated network, ABC destroyed the other networks in the ratings beginning in the mid-1970’s. The network had so many hit shows they began to toss them around like salads, and aside, like they were two day old popcorn. The executives were cancelling top hits like The Bionic Woman and Wonder Woman without a second thought. The network basically owned 4 of the 7 nights of programming. Egos swelling, those executives became high on power. They suddenly knew everything about TV and creating great programs. Thus, they insisted the production team at Mork & Mindy fire the supporting cast, and add younger characters, and re-focus the direction of the show! Then, ABC moved the show from Thursday to Sunday, believing they could finally end CBS’s ownership of the night. The entire affair was a mess, a disaster on the highest scale! The show plummeted in the ratings, and even worse, hardly anyone even spoke about the show any longer, except to remark how bad it had become. Desperately, the network attempted to return the show to its first season glory, but it was too late. People tuned out and never came back. The show continued to collapse in the ratings until cancellation was a necessity just two years later. The magic was over. As for ABC, their constant tinkering and re-scheduling of hit shows, such as What’s Happening, Angie, Charlie’s Angels, Too Close for Comfort, Soap and Taxi, ended their tidal wave reign and place as the nation’s top network.